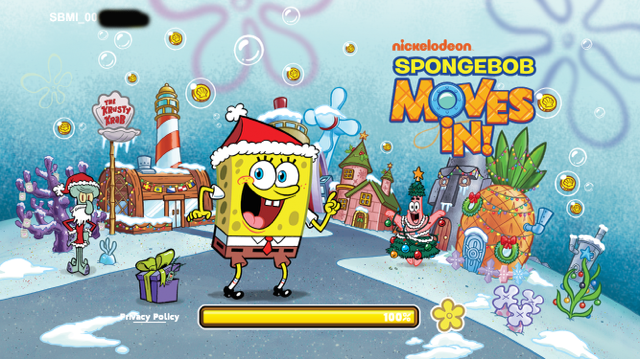 Christmas 2015 - The SpongeBob Moves In Guide Site! 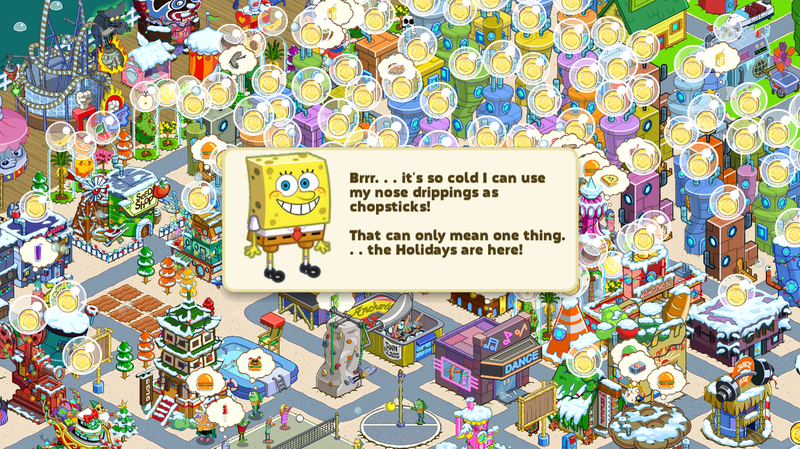 Get into the Holiday Sprit with SpongeBob! 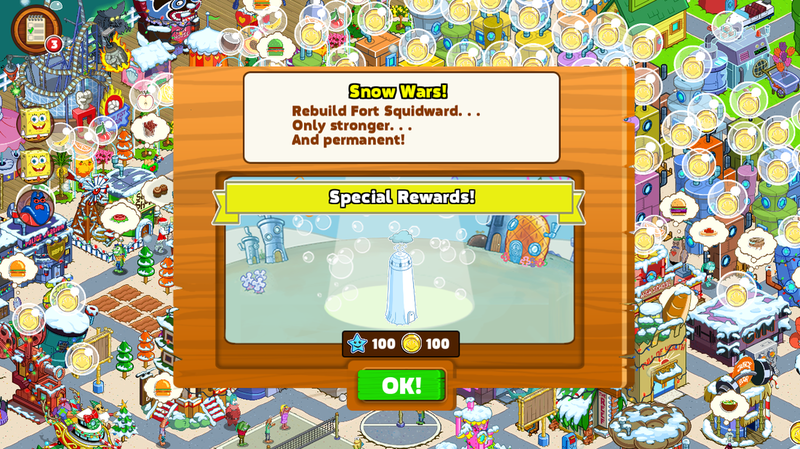 Move In New Christmas Landmarks! It's Time to make some Snow Angels! Deck the Halls with Holly and Jolly! Q: What's new for the holidays? 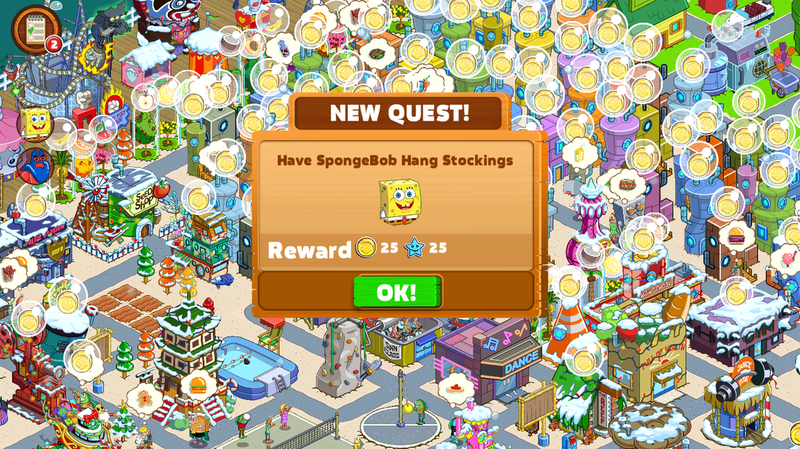 A: Last year's snowball war got out of hand, so this year SpongeBob and Patrick have decided to sign a peace treaty! 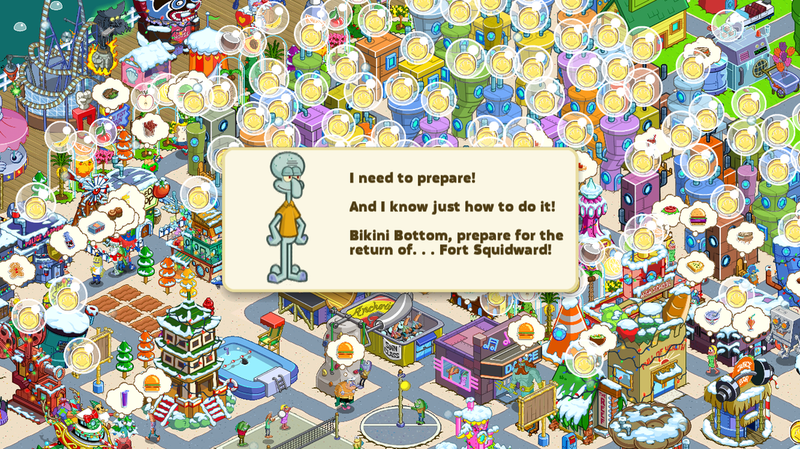 But, Squidward has other plans, leading to a full on snowmageddon! 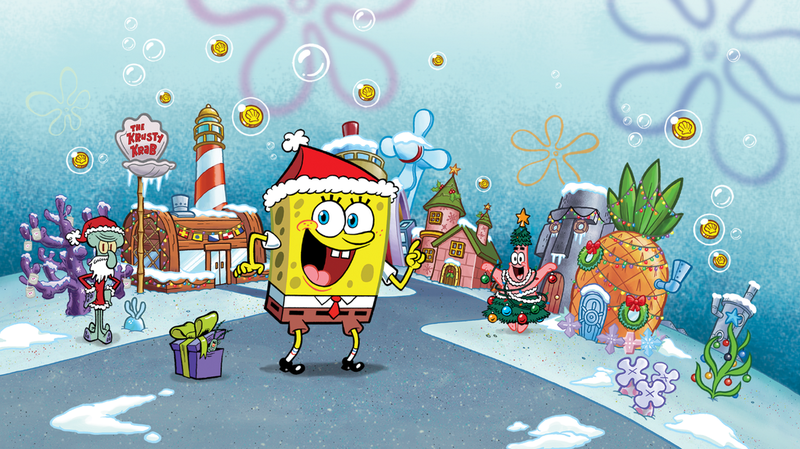 Will SpongeBob and Patrick become bitter enemies or will the Holiday Spirit keep them best friends? Snowball throwing animations and tasks! Q: I'm still hearing Halloween music! What do I do? A: Boo! Just turn your device off and on again. This should fix the sound issue you're experiencing.